Raaga.com: Priyadarshan’s movie on AIDS to create awareness but in his signature style with punches of humor and fun. Priyadarshan’s movie on AIDS to create awareness but in his signature style with punches of humor and fun. 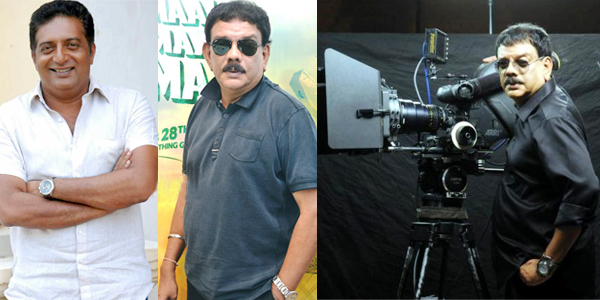 Eminent filmmaker Priyadarshan is known for his satirical and comic films like HERA PHERI, DE DANA DAN, KHATTA MEETHA etc. Though his latest Tamil film tentatively titled SILA NERANGALIL is based on the sensitive issue of AIDS but Priyadarshan has made it in his signature style with punches of humor and fun. “That is why I have made an effort to infuse wit and humour into the narrative of my film. I personally feel that a feature goes far in educating viewers...And AIDS awareness is still a big issue,” he added. The highlight of the film is that Priyadarshan has shot the film in just 16 days making it Kollywood’s quickest film and to perhaps the only film to be shot in a single erected set! The other novelty of the film is that it is a tight edge of the seat captivating movie with a short duration of just 100 minutes minus song and dance. The movie is likely to release this year with a grand international premier.